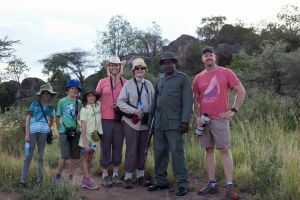 Our walking safari started at 7, when Mark asked if we had heard the lion roaring at around 10 pm, followed by the saw like sound of the leopard, which was just in the rocks adjacent our camp. 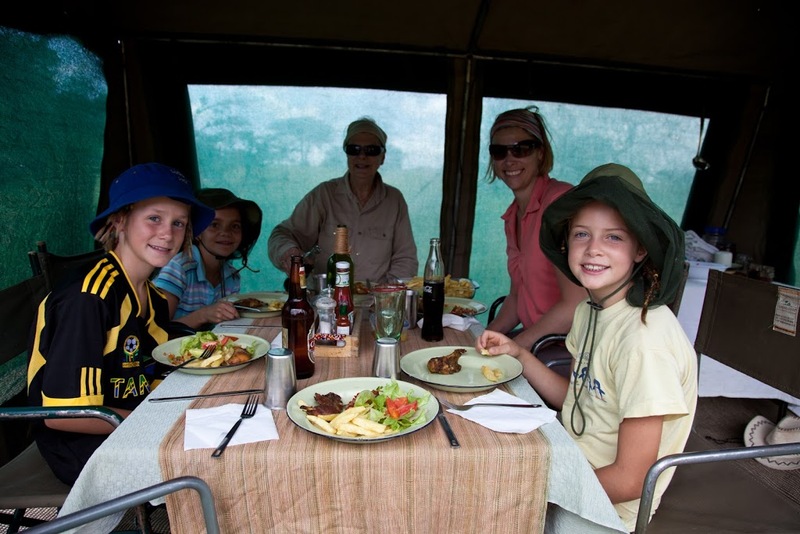 Hyenas had also come through the camp overnight, getting into the kitchen stuff, eating the chocolate for the brownies (oh no!! ), pooping out the chocolate, tearing the trash open and throwing that around. The men were up a few times during the night trying to secure their section of camp. Apparently we were all ok – we heard nothing, slept fine, and had been warned in any case to not venture out of the tents during the night. 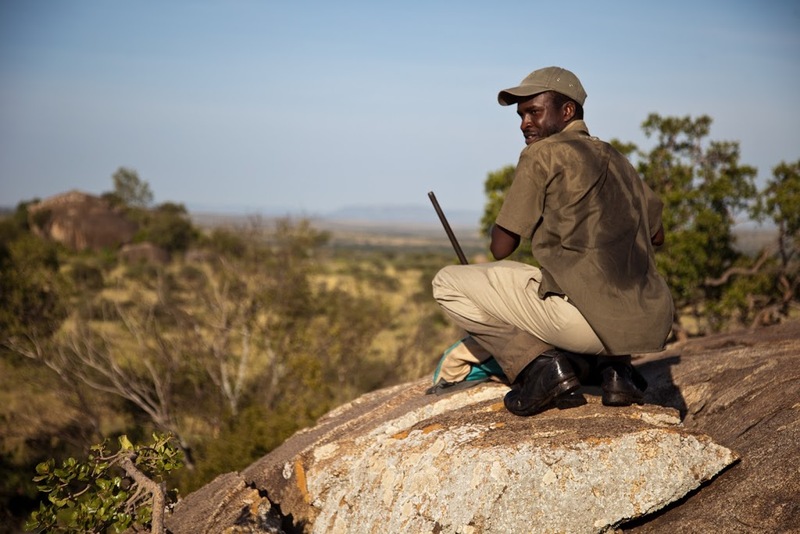 Mark explained the procedure if we were to be charged at by a lion – to shout and wave, which often works, before they have to shoot. 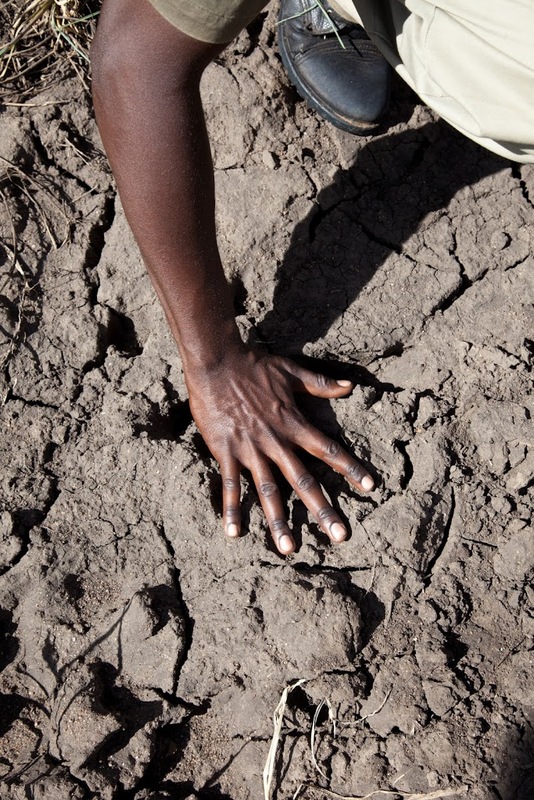 We set off, seeing the hyena tracks on the ground. 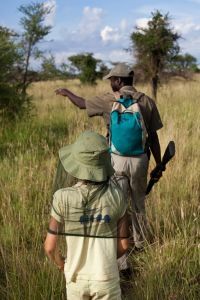 We spotted much animal poop of the various antelope around, elephant, zebra, buffalo, even a lion paw print in the softer mud a few hundred meters from camp. We saw where lions and leopards had scarred the trees by climbing them with their sharp claws. 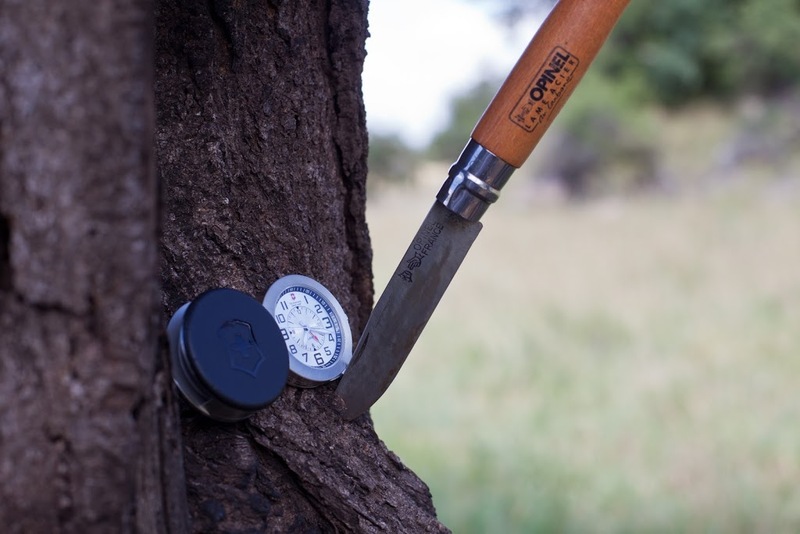 Mark showed us the mud left by warthogs on the tree. The mud was very dry, and he pulled some of it off to look for dead ticks encased in the mud. Milla found a warthog hair in her patch of mud! We saw no animals for the first hour, which had Mark and Daniel concerned as the presence of lions was the only explanation for the lack of game to be spotted. We did hear a low noise as we set off, which Mark though was probably a lion giving us a warning growl. 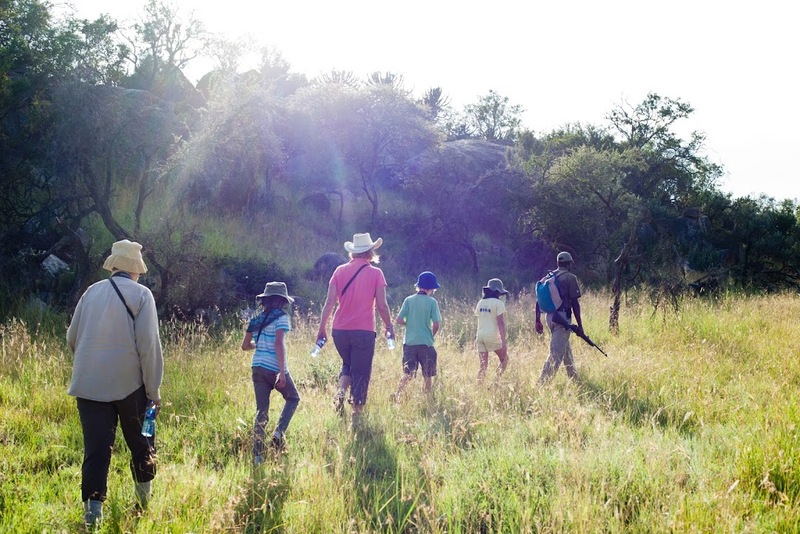 Eventually we saw some small animals – rock hyrax, a dikdik, a few hartebeest, some topi, but they were all very scattered, and we were seeing them from 100 – 200m only. 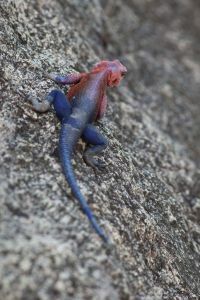 Agama lizards (they look like spiderman, especially when they are crawling up and across a rock face), many birds, a few insects. Lots of dung to observe, and we climbed a rock where we had seen some baboons to see the view. Sitting up there, catching the cool breeze, Mark told us some stories – about warthogs and how they pair up, and about the honey badger and how they get the honey anyhow their farts make bees faint! We talked about what animals we had seen, and Mark concluded that we had seen all there was to see – he was particularly impressed we had seen the honey badgers. We got back to camp soon after 10, so we all sat and scraped the grass seeds out of our socks and pants. Gran went and showered – the water smells of the smokey wood fire, as the water is heated in steel buckets by the fire and poured into plastic buckets to then top up the canvas bucket shower. Charlie charged his laptop from the car by the men. The bread for lunch and dinner was being baked in the steel oven box alongside the fire. Most of the bread is a little black on top, but gee, they do an awesome job of preparing these meals for us with just a fire. Most of the rest of the day was spent quietly, writing, reading, photo downloading, snoozing, as well as another UNO championship. The girls taught Gran to play the other day, but I think she felt she was being ganged up on when she was not winning. Charlie and Luca got a fire started with Charlie’s flint, some loo paper, grass and sticks, whilst the girls read and did puzzles. A very peaceful afternoon. Charlie and Luca realised they had caught their dinner (fish a few days ago), shot an arrow (with the huntsmen), started a fire today, thrown knives (hmmm, that was today), and then charged batteries using the solar panel charger. Real men. Lunch today was pizza with a bread base! With salad, and brownies. Hurrah!! Charlie jnr has scored on the food front – we have had lasagna, chicken curry, pizza, and then tonight, mince samosas followed by beef stroganoff – all her favorite foods. She has eaten really, well. Milla has not. We didn’t expect it to go that way, but hey, what can you do with 8 year old girls? 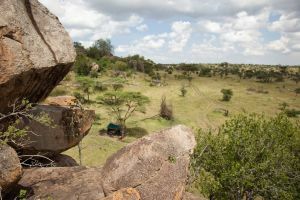 Our afternoon walk was a short one to a nearby Kopjes, and a rock that Mark said was the very rock from ‘The Lion King’. He brought wine, beer and coke in his backpack and we all sat atop this rock, admiring the view of the plains for miles around and the sun went down. It was truly magical. Mark told us the story of evolution, as well as another fable, while we tried to recall the dreaming stories to share. We didn’t do so well. 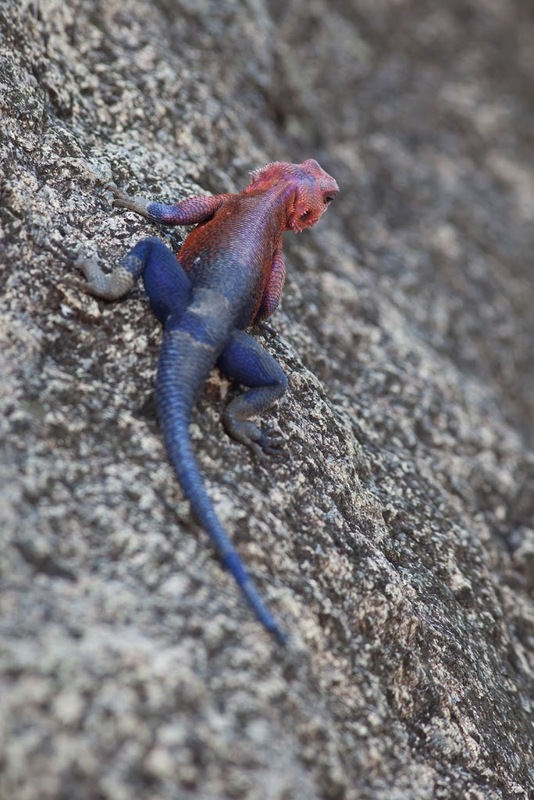 On our way down, we noticed one of the rock figs had very fresh scratch marks on it – from a leopard, in the last 24 hours. 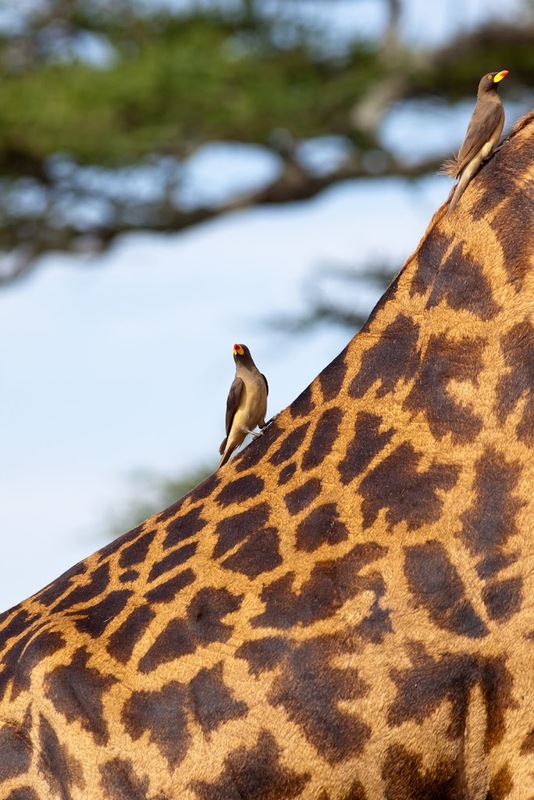 It was almost certainly from the leopard we heard last night. And less than 200m from our tents. We are keeping the kids close by. The baboons make all sorts of dog like noises, and these noises are coming from all 4 of the Kopjes surrounding the camp. It is our last night in the Serengeti. We are glad to be close to electricity to charge everything, a hot shower to wash my hair (yikes – 5 days with no shampoo for me), flushing toilets and so on, but it is a little sad to know that we are leaving this environment and may never be back again. 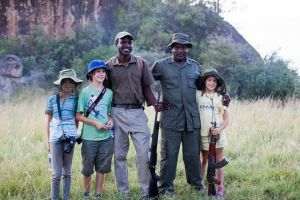 We really have had a brilliant time out here – it has exceeded our expectations, and the kids have really enjoyed it as well. They have coped very well with the slower, dare I say boring bits, they have developed the awareness of their relative privilege, as I hoped they would, and they have had the chance to see some of these animals we only see in documentaries, in cartoons and at the zoo. They are aware they are lucky, thank goodness. From here, the history of Stone Town, and then the beach!